An easy to grow annual plant, producing unusual pods with a unique flavour. The taste, as the name suggests, is between asparagus and pea. 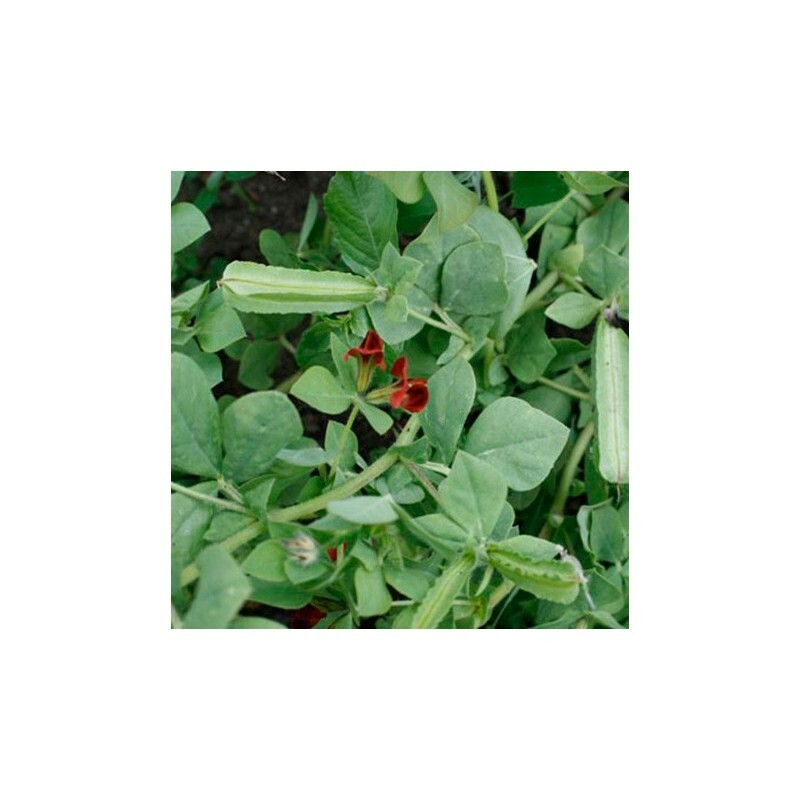 Asparagus pea can be grown as a vegetable or as a ground cover ornamental as the flowers are very pretty dark maroon in colour. If you want to harvest the pods make sure the plants have more roo to grow, about 30 cm in every direction, and if you want them as groud cover plant them more densely. Pick the pods when very young, when you can't feel the seeds inside the pods at all. Steam whole pods for just a few minutes, and serve with butter. Can be used as a ground cover in any flower border, as the tiny red flowers are very attractive. Sow seeds in early spring, in fine compost, in a tray or in small pots, or outside later in the spring, 10 cm apart, leaving about 30 cm between rows. Harden off and plant out about 30-35 cm apart after the last frosty night. Pick the pods when about 3 cm long, to encourage production and to make sure they are stringless. The dark red pea flowers make a very nice feature in a flower garden.